Loved this episode so much. The big battles, the dragons, the special effects and the big twists are great, but the characters are what makes this show so great. It worked on Fortress and One Day Remains. It's not ideal and it worked against them on TLH, but that's just one album. I hope he stays away from the bells. I don't know. Stick to what you're known for with slow / moody post grunge or do some The Doors type of music, considering he's such a fan and his voice would sound great doing stuff like that. Anything but this... He's clearly targeting the active rock charts and it just doesn't feel genuine. It's not as hilariously bad as Proof of Life, but don't get why he's trying to sound like bands that Creed influenced 15 years ago, and stopped being relevant about 9 years ago. There's no reason why Mark couldn't have done one of the harmonies in the intro of Cry of Achilles. Would've sounded so much better, especially live. That's because 15 years ago they were playing Guns N' Roses, and now they're still playing Guns N' Roses, lol. I honestly think it's incredibly bland, and I thought the song with Chester was pretty cool. All those bands were poppy from the start. Nothing wrong with trying to sound like a modern band. I'd rather have a fresh album from Alter Bridge than another 2000's throwback. Change is always gonna be subtle with Alter Bridge anyway, so we got nothing to worry about. Change is always good! Even if it's towards a more poppy sound. nagpo wrote: Are you mentally ill? You post sporadically, in long senseless wall of texts, feverishly and angrily. You don't quote people, you're just screaming aloud randomly like somebody with schizophrenia. Sounds like a Trump rally. 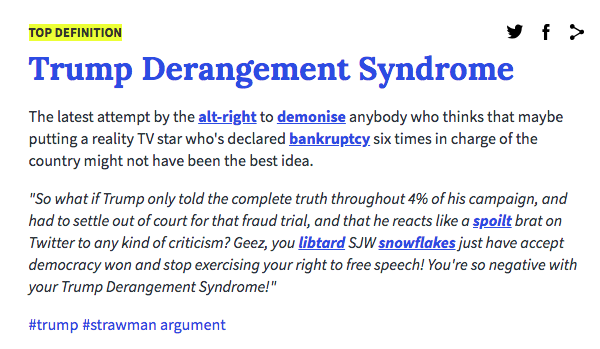 nagpo wrote: Ever heard of Trump derangement syndrome? Literally everybody has been in a constant confused state of mind since Trump became president. Especially his own fans. Andy just quoted Tywin Lannister and nobody noticed. Fortress was written while Myles was working with Slash.